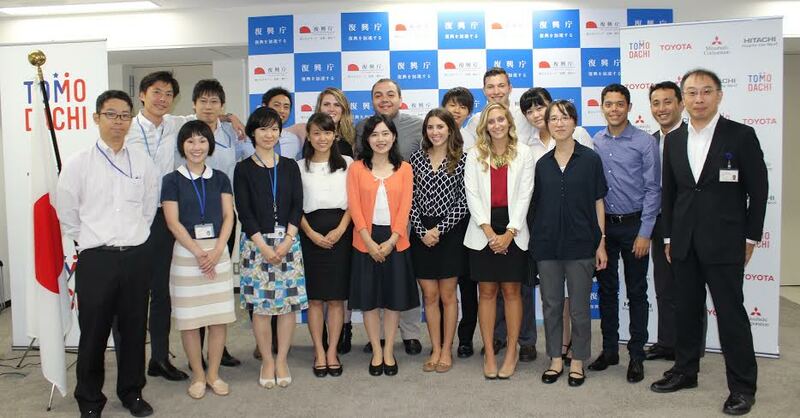 On August 10, 2016, the participants of the Building the TOMODACHI Generationvisited the Reconstruction Agency in Tokyo on August 10, 2016 to share their experience in Tohoku. They also had opportunity to present their projects to revitalize the affected communities. 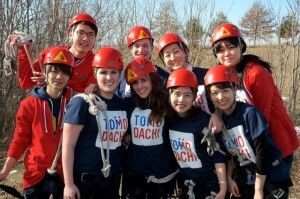 The second part of the 2015 Building the TOMODACHI Generation program culminated from August 5 until 12 with a one-week service learning trip to the Tohoku region. 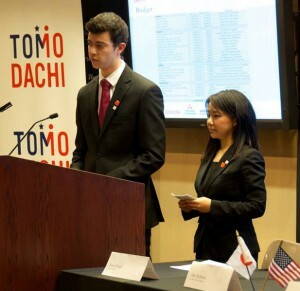 Six U.S. students from the two winning project teams joined their Japanese counterparts in Tokyo before embarking on a tour of several towns in Tohoku that were directly affected by the earthquake and tsunami on March 11, 2011, including Ishinomaki and Minamisanriku of Miyagi prefecture. 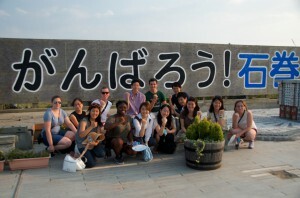 Through a series of volunteer activities, site visits, and other interactions with local community leaders, students had the opportunity to observe and learn from civil society initiatives on the ground in Tohoku. Upon arriving in Tohoku, students learned more about the 3/11 disaster directly from those who experienced it. Students then visited organizations engaged in addressing social issues similar to the ones covered by their own projects, including volunteering for one that provides educational opportunities for children affected by the disaster, and another that seeks to revitalize the local economy through educational volunteer activities at a local fishery. In order to gain insight into the role government plays within the ongoing recovery efforts in the region, students met and discussed with local government officials. 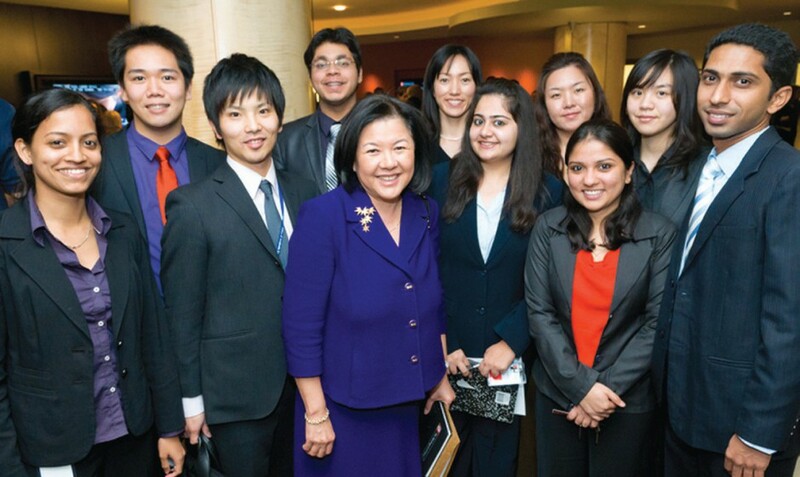 The two-week civic engagement program took 16 Japanese college students from top universities to Washington, DC from February 15, 2014 to March 1, 2014. The Japanese students joined 12 American peers for a robust leadership-based curriculum that enhanced students’ understanding of the principles, challenges and potential of civil society. The first week of the program focused on the history of the civil society model—providing a framework for understanding the impact and mission of NGOs and cross-sector collaborations, and the affect these partnerships have on advancing the common good. The second week of the program focused on leadership development and cross-cultural understanding to prepare U.S. and Japanese students for success in a global society and enhance understandings of each other’s cultures. 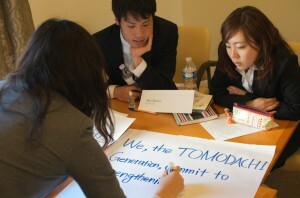 Building the TOMODACHI Generation: Engaging U.S. and Japanese University Students in Social Problem-Solving is funded by TOMODACHI’s Fund for Exchanges through generous contributions from Toyota Motor Corporation, Mitsubishi Corporation, Hitachi, Ltd., as well as Morgan Stanley. This program was developed through a partnership between The Washington Center for Internships and Academic Seminars (TWC) in Washington, DC and the U.S.-Japan Research Institute (USJI), and is administered by TWC.